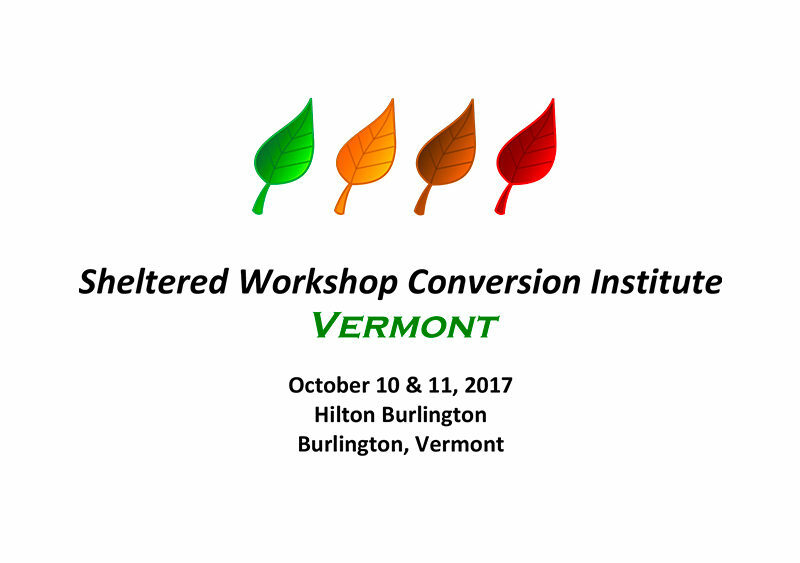 You are cordially invited to attend this 2-day Organizational Change Forum: Sheltered Workshop Conversion to Community Employment, on October 10-11, 2017 at the Hilton Hotel & Conference Center in Burlington, Vermont. Join us for this dynamic event focused on employment for individuals with disabilities. Hear from leaders who have aligned federal, state, and local systems and agencies to move from sheltered work to offer exceptional community-based employment supports. This Forum is designed to be interactive and action oriented. 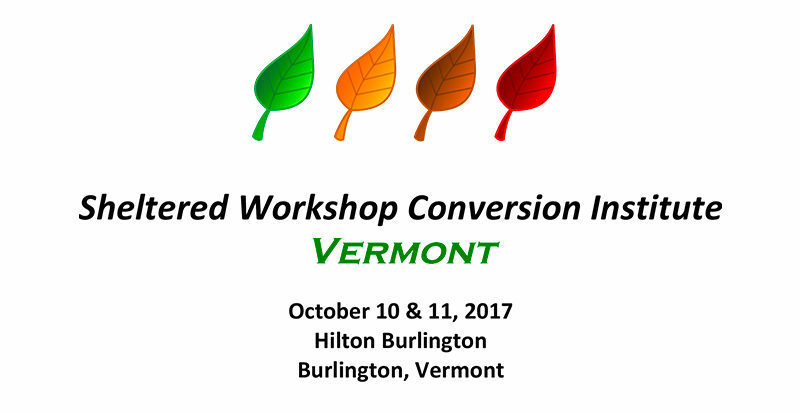 Participate in lively discussions and planning related to policy and systems change, leadership, management, transition, career development, and integrated employment. Forum planners encourage state teams to attend, including state Vocational Rehabilitation, Developmental Disabilities agency representatives, Behavioral Health Centers, local community providers, One Stop career center staff, local education agency staff, university faculty, self-advocates, and interested others.